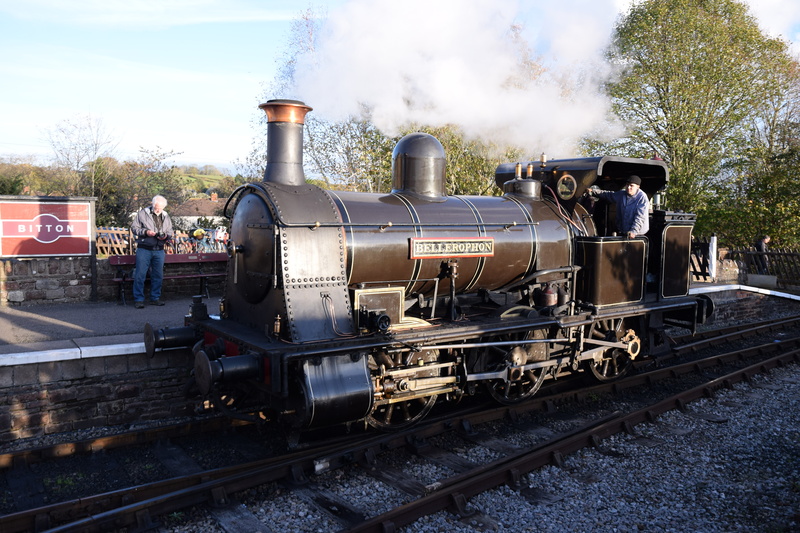 Richard Evans, Haydock Foundry 0-6-0WT No.D of 1874 (although works plate fitted is incorrect - it is actually No.C) "Bellerophon" designed by Josiah Evans, at Bitton during the Avon Valley Railway Autumn Gala, 4 November 2017. No.C worked at the Haydock Collieries and later for the National Coal Board until 1964, a working life of 90 years! No.C had one of the earliest applications of piston valves; it had Gooch valve gear. Railtracks is a Good Stuff website.